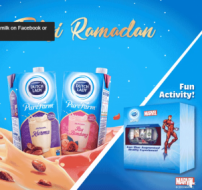 Dutch Lady, the number one brand in the dairy segment in Malaysia (Nielsen Retail Audit 2018 data), has introduced two flavoured milk products for Ramadan. Ramadan begins on 5 May 2019 and ends on 3 June 2019, followed by the Hari Raya celebration, an important holiday in the Muslim calendar. The two flavoured milk products are Ros Bandung and Kurma (palm date). Both are popular food items to break fast. Both flavoured milk drinks claim to contain real rose and palm date extracts. The total sugar content per 100ml for Ros Bandung is 8.2g comprising 3.5g of sucrose and 4.7g of lactose, while Kurma is [8.2g?] consisting of 2.5g of sucrose and 4.7g of lactose. Actually, the total sugar in the Kurma milk does not add up to 8.2g. It should be 7.2g if we add up sucrose and lactose. Below is the actual image of the nutritional facts. 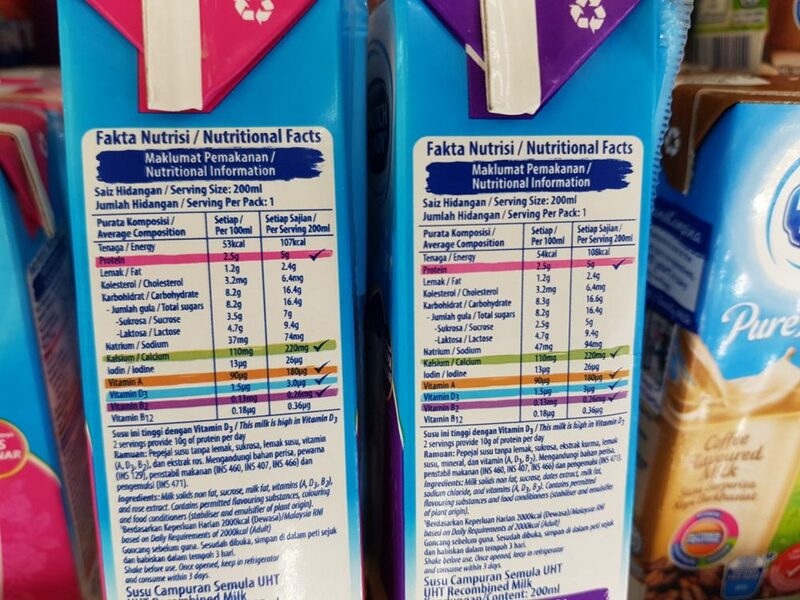 The price of the Dutch Lady PureFarm Kurma and Rose Bandung (6x200ml) is the same as the other Dutch Lady PureFarm flavoured UHT milk at RM 8.07 (Giant). 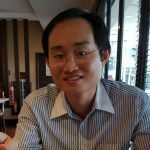 So there is no premiumisation going on with the two new flavours. Etika’s Goodday Kurma Flavoured Milk (6x200ml) is at a slightly higher price of RM 9.10 (Giant), which makes Dutch Lady, the latecomer, more price competitive. The example of Dutch Lady tapping into Kurma shows how big brands are slow to react to consumer interest in Kurma.